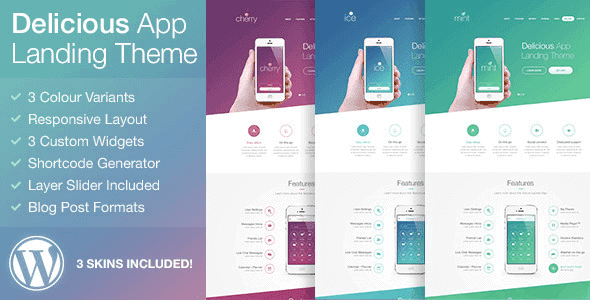 Delicious WordPress Theme is a Mobile App Landing Responsive WordPress Theme with a clean and modern style. Delicious features include reviews, screen showcase, video demo, support contact and more. Delicious is a perfect mobile app showcase for iPhone, Android and other mobile devices. Choose from 3 custom styles or select your own custom color! Easily create pages with the built-in Unyson drag and drop page builder.